On Wednesday afternoon and evening, FIE features workshops—highly interactive sessions selected for their timeliness and value. Workshops offer a concentrated professional development experience. The wide range of workshop topics offers opportunities for everyone from new faculty members to the most experienced educators to expand their skills and knowledge. Conference attendees must register separately for workshops. There is a $50 registration fee for each workshop. Service learning is a rapidly growing pedagogy in higher education and within engineering, technology and computing. Service-learning provides a learning environment that is very well-matched with ABET. Students can learn strong technical skills while developing teamwork, communication and leaderships skills. The community and human context of service-learning provides rich learning experiences for contemporary social, global and ethical issues. Service-learning also provides the kind of curricular efficiency necessary to meet the attributes called for in the National Academy's Engineer of 2020. Evidence suggests that service-learning also has the potential to increase participation among underrepresented populations within engineering, technology and computing. This interactive workshop will provide an introduction to service-learning and allow participants to explore how it could be integrated into their own courses and curricula. Resources, partnerships and potential barriers will be discussed to provide strategies for successful implementation at the participants' own institutions. An increasing number of studies point to the issue that engineering students tend to lose their creative edge during their undergraduate education. In our prior studies, we identified three barriers to innovation experienced by students: an overwhelming technical identity that values technical problem solving over creativity, a view of innovativeness as an attribute that is attainable to just few privileged or masterminds, and instructional constraints that demotivate students from taking risks by exploring novel solutions. This workshop will focus on teaching and assessing in engineering courses so that students see the essential role of innovative thinking for engineers. Examples of student work will be used to illustrate assessment practices that value creativity and innovative problem solving. The participants will develop rubrics to be used in own courses or design projects. This workshop will engage the participants in the process to draft Program Educational Objectives (PEOs) appropriate for undergraduate engineering degree programs at ABET-accredited institutions of higher education. ABET stipulates in its Self-Study Questionnaire under Criterion 2, Category E that there should be a process in place to periodically review and revise PEOs. PEOs must reflect the Mission Statement of the institution and serve as a yardstick of student achievement three to five years following graduation. The objectives represent the expectations of the department from its graduates and must be crafted such that measurable objective evidence can be obtained through alumni surveys. To be consistent and effective, the entire engineering department must contribute to the discussion, ratification, and eventual adoption of the PEOs. Active participation by the faculty in defining the PEOs yield clear and concise objectives and promotes ownership of the goals of the Department and ABET process. However, not all faculty members are necessarily familiar with the assessment language and the process to evaluate the PEOs. In order to ensure a meaningful contribution from all faculty members involved in defining the PEOs, this workshop presents a framework that facilitates the discussion and the steps taken to define the PEOs that are (1) adhering to the Mission of the University (2) achieving consistent and measurable expectations. The goal of this workshop is to help participants explore how Agile development, a management technique borne out of the software industry, can not only change the way that students engage in project-based and team-based course projects, but the Agile mindset can also transform the way that we educate our students. The Agile Way of Working (or Agile) is a collection of principles and practices that supports rapid and flexible response to change. It does this by promoting communication, collaboration, continuous improvement, and reflection within teams of problem solvers. The approach also fosters self-managed teams. Agile accomplishes this by embracing changing requirements, delivering products frequently, using human-centric methods, and engaging the customer in regular collaboration. Agile puts heavy emphasis on articulating goals, facilitating interactions, improving team dynamics, supporting collaboration, and encouraging experimentation and innovation. There is an increase in interest in how Agile can be applied in higher education settings - both as a topic of study for project management (i.e., Agile Way of Working) and as a pedagogical mindset (i.e., Agile Way of Educating). In this workshop we will: Provide a tutorial overview of Agile; present examples of how Agile has been used for project management for course projects; present examples of how Agile practices has been applied as a pedagogical approach to derive benefit in the areas of encouraging students to take responsibility for their learning (self-managed learning), continuous improvement through reflection, alternative approaches for evaluation, and increased engagement by learners; and engage in activities that demonstrate Agile in practice in order to provide attendees with ideas for applying Agile. Participants will come away with ideas for applying Agile in their courses and resources for a deeper dive into Agile. Participants will also leave the session with resources that will allow them to perform a deeper dive into Agile. Students frequently spend too little time understanding the problem in their design projects and jump to solutions without considering alternatives. This leads to inefficient use of time and suboptimal results in the final design. Instead of re-inventing the wheel, students need to explore and understand the work of others applied to similar situations, using strong information gathering, application, and evaluation skills. Ultimately, these reinforce core skills needed for students to be lifelong learners, i.e., determining where they have gaps in knowledge and determining how to fill those gaps efficiently and effectively. This workshop will provide a conceptual model and examples of activities that will help instructors keep students problem-focused, allowing them to generate and weigh alternatives, and ultimately settle on a solution that is most promising to meet their stakeholders' needs. Participants will take away techniques they can apply to their own engineering design courses. Participants will learn how to determine the needs of stakeholders, better understand the context of the design problem, and make sure they meet professional standards and legal requirements for their designs. In addition to their own brainstorming, they investigate the prior art of others to enlarge the solution space they explore. Evaluating and synthesizing information gathered or generated themselves, they determine the most promising of their proposed solutions. Educators are converting traditional and project-base courses to agile in response, but this is a daunting task with few structured teaching resources methods available to reduce the burden on the educator. This workshop will present a comprehensive approach to teaching Agile methods that is itself agile, employing a highly iterative, continuous feedback-driven process. This workshop will convey instructional resources to participants, and provide the scaffolding to conduct an agile project course. Participants will receive materials including Eclipse-based open source labs, project scripts, and pedagogical scripts to adapt to their classrooms. Pedagogical and assessment strategies will be shared, and the presenter will facilitate a best practices interactive discussion to draw out lessons learned from workshop participants. The workshop agenda will include strategies and instructions for setting up Scrum, and supporting XP developer practices including Continuous Integration and Testing using Jenkins, Source Code Control using Git, unit testing, static analysis, and more. The workshop will also encourage interaction amongst participants to share best practices and lessons learned. Research directions related to the application of agile principles to teaching and learning will be discussed. Post-workshop support will be provided through a website hosted by the presenter. A custom Eclipse install with requisite tools will be available for installation during the workshop via USB stick and the Web. The presenter will record and coalesce information gathered from collaborative sessions on the agenda and make the record available to participants on his university website. Instructions for server-based installations and trial accounts will be distributed to participants. Laptop Required. Tablets will be of only limited utility. 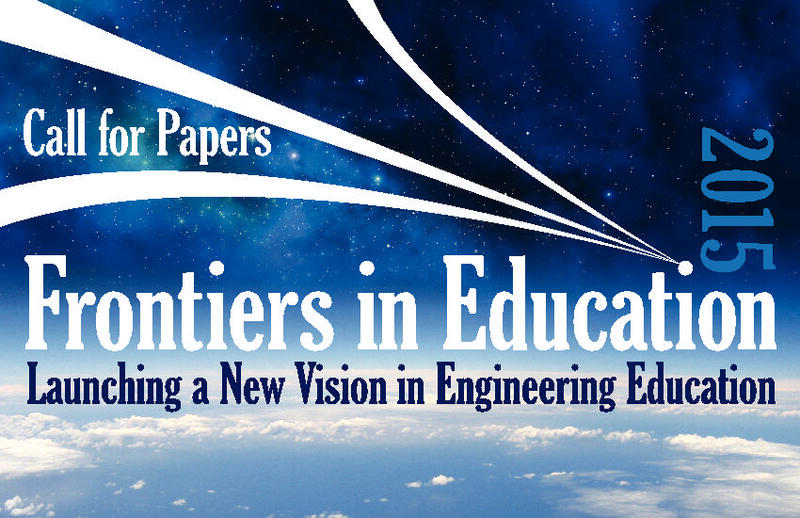 Engineering education publications are expected to make substantive contributions to the field, but there is a need to clarify expectations of substantive contributions across the global community of scholars in this field. For the purposes of the review criteria, contributions will be defined as clear statements of how work described in the manuscript is expected to influence future directions of the field. Many different types of contributions are possible. Review criteria need to be specific to broad areas of potential contributions. Review criteria for the IEEE Transactions on Education are organized based on the three categories of scholarship described by Boyer: discovery, application, and integration. Workshop participants should expect to learn more about the three areas of scholarship and be able to select the area most appropriate for their manuscript.